Congratulations Tayler Sheahan for winning the basic science poster prize at APS!! 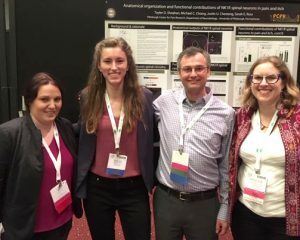 Congratulations Tayler Sheahan for winning the basic science poster prize at APS 2019!! The Ross lab blog provides news about the lab and occasional scientific commentary relating to itch and pain. Stay abreast of the latest discoveries about itch and pain by following me on Twitter.